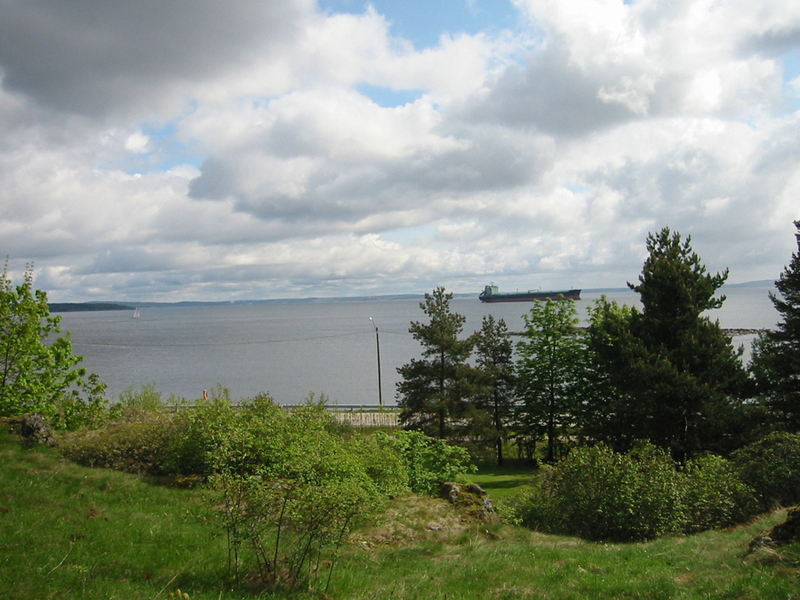 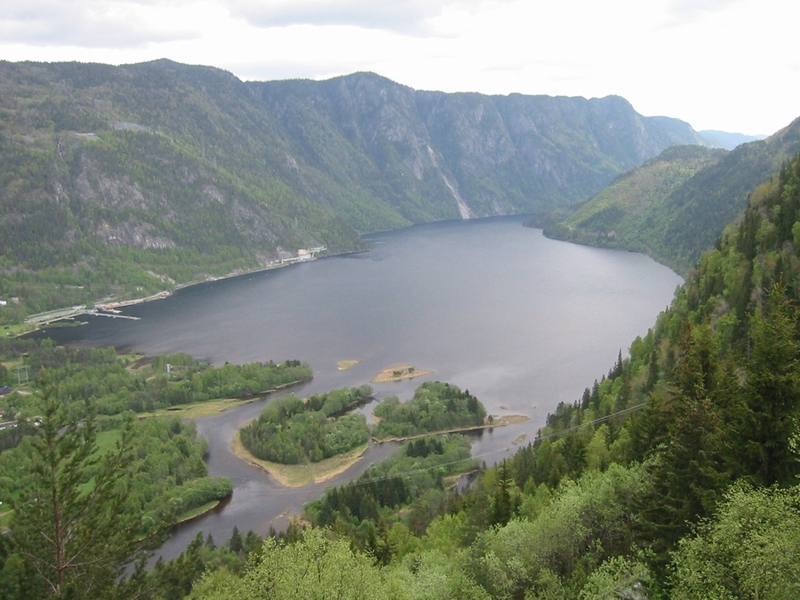 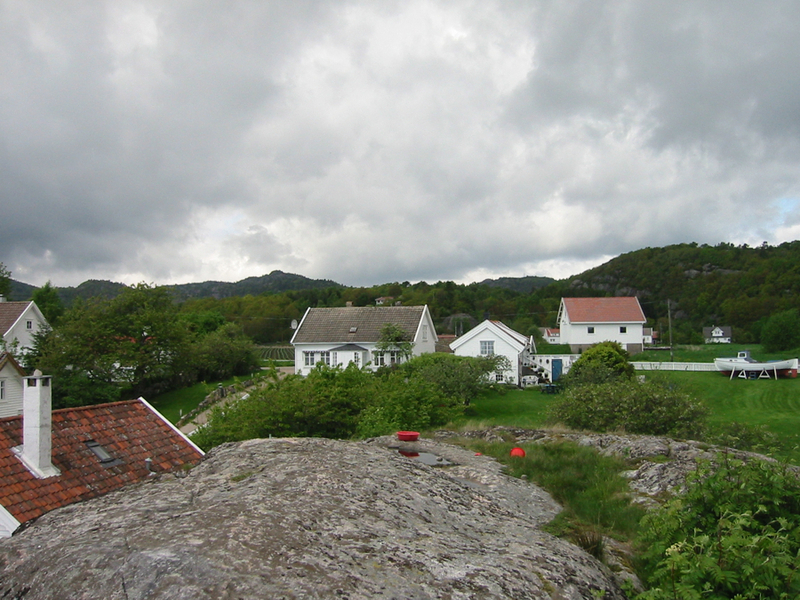 The view of the fjord from the main farmhouse at Saltkopp. 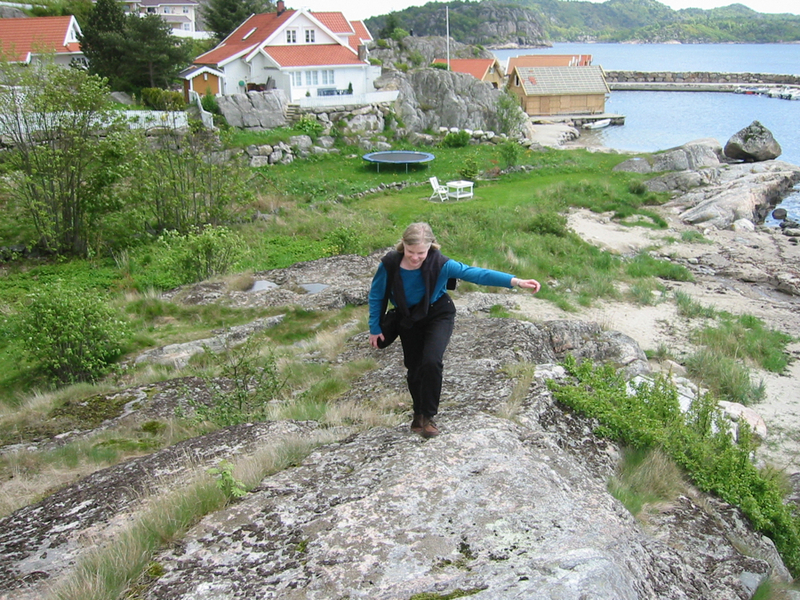 On the rocks at Verdans Ende. 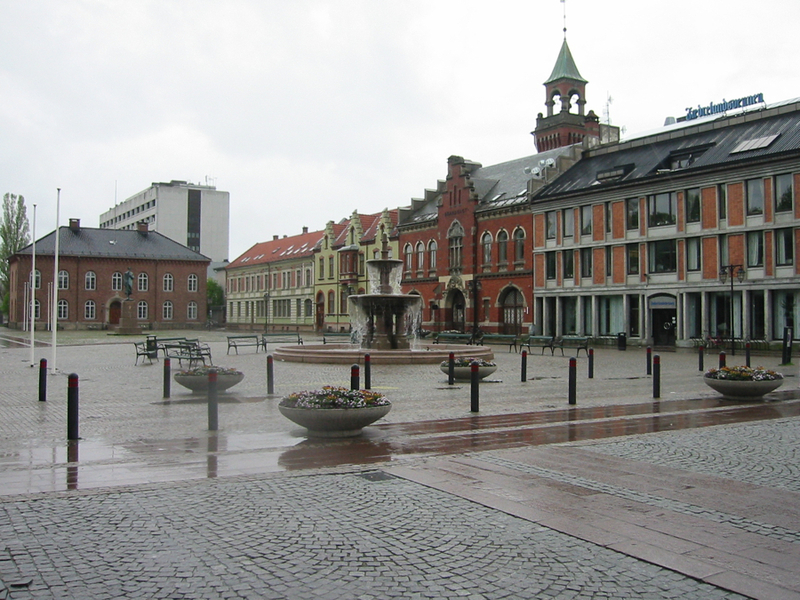 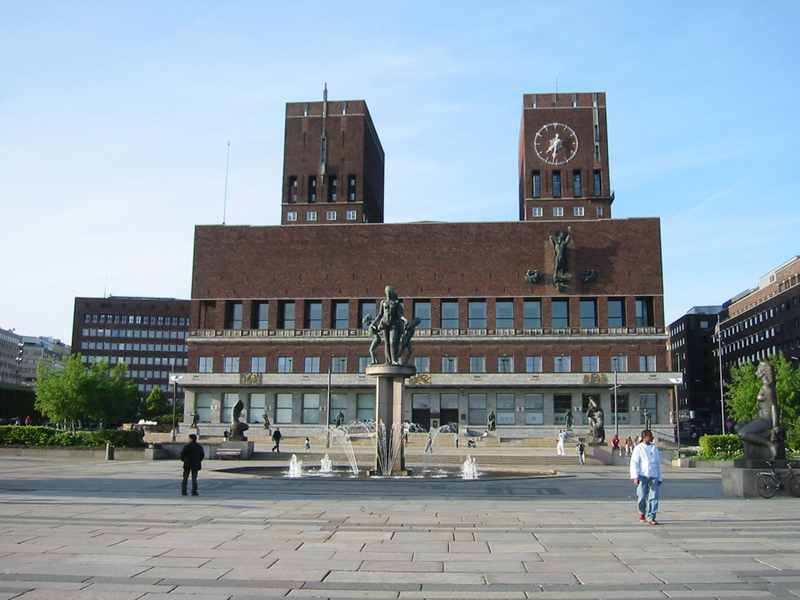 The main square at Kristiansand. 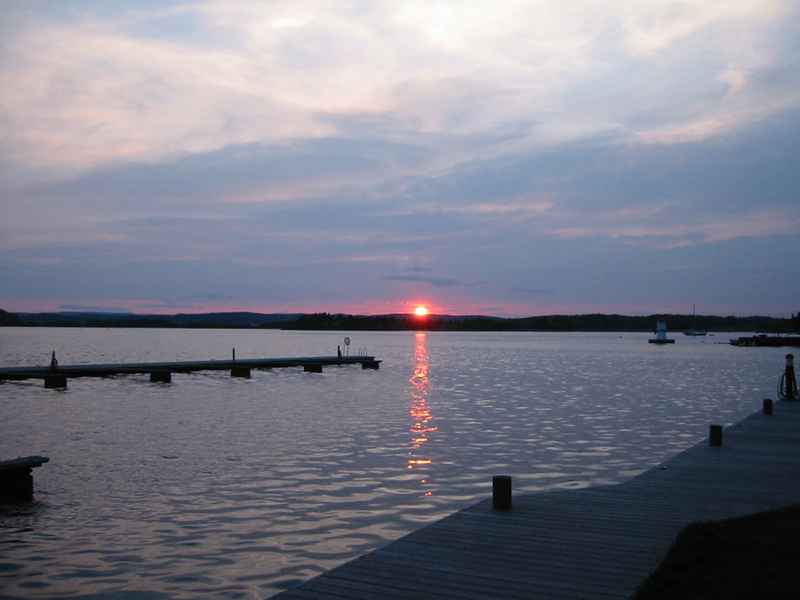 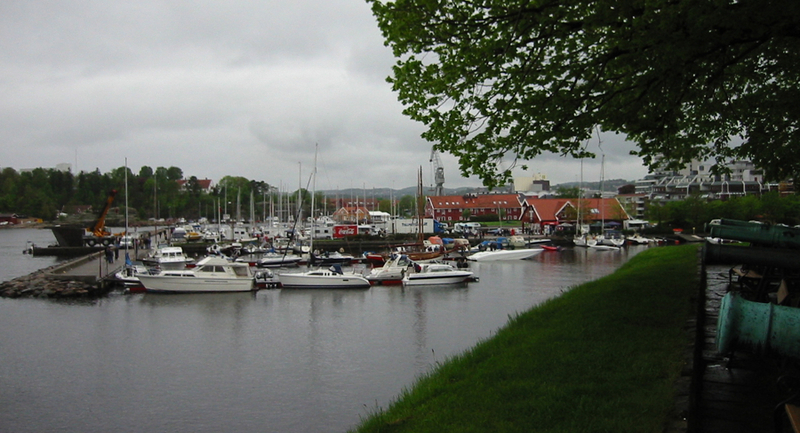 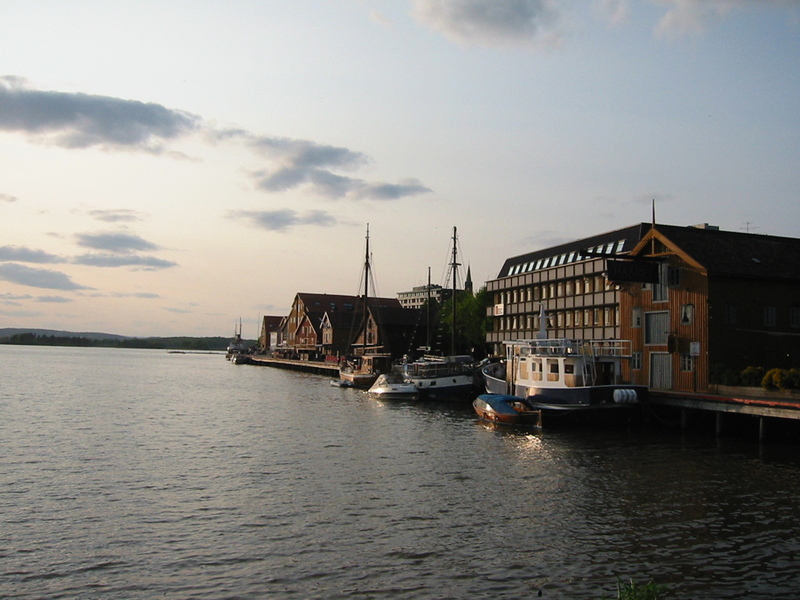 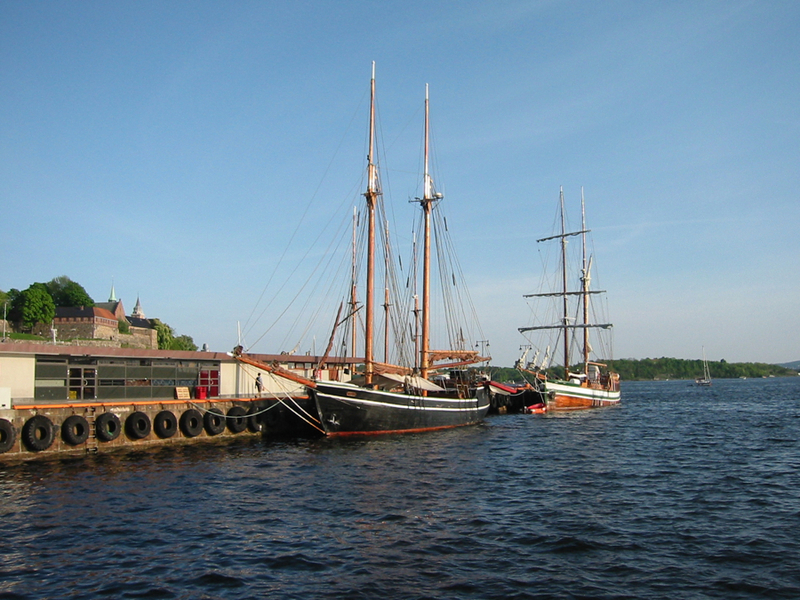 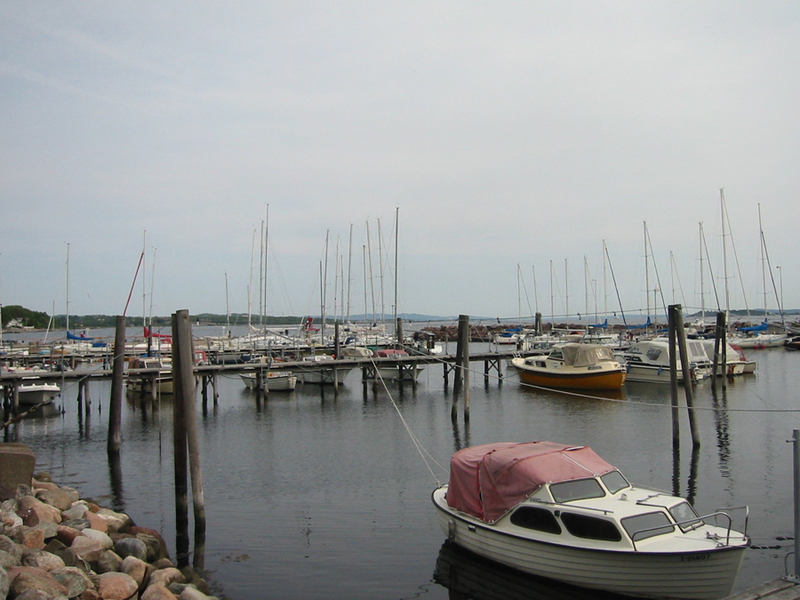 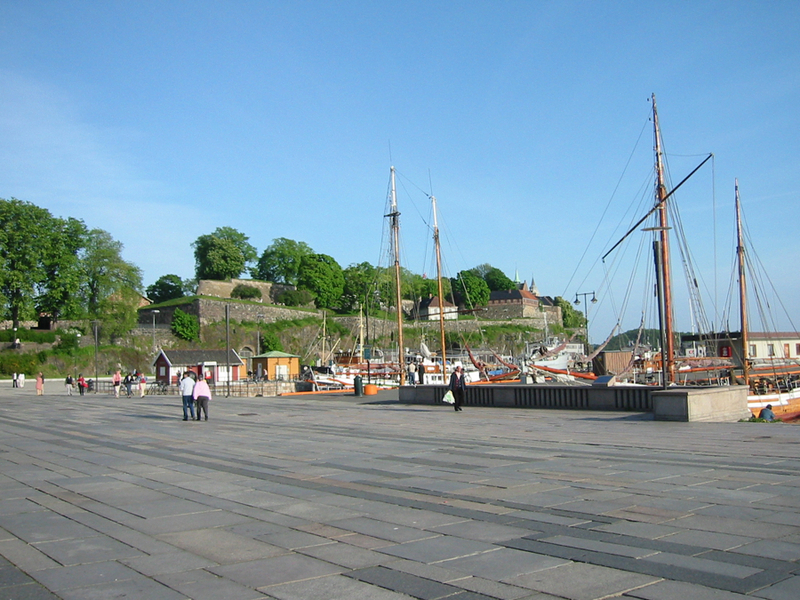 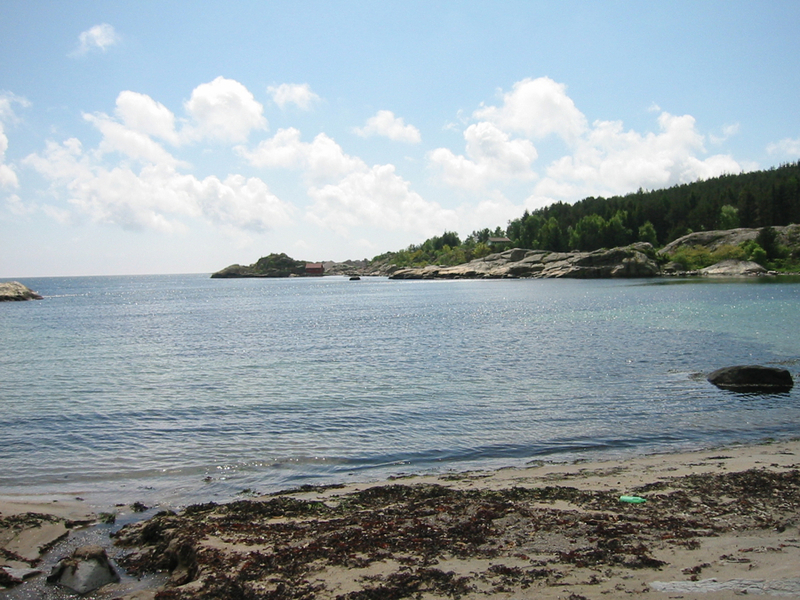 The harbor at Kristiansand. 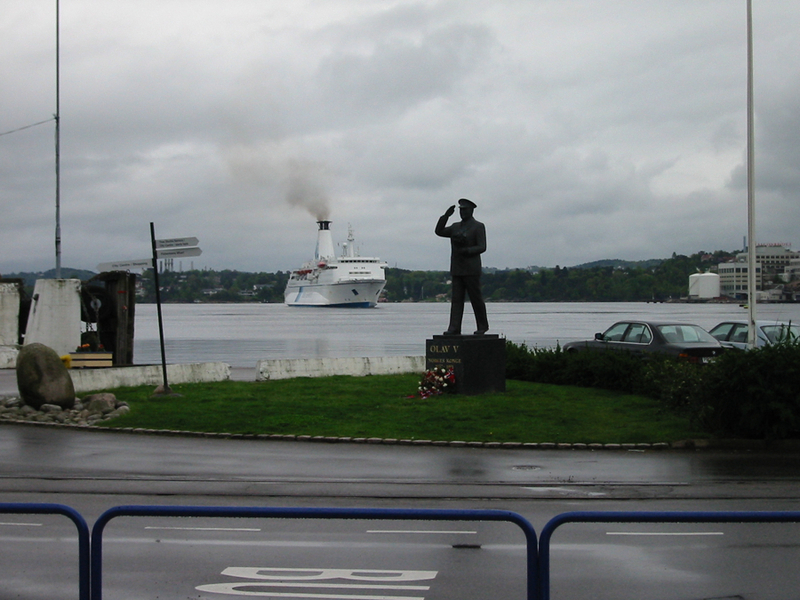 A ferry coming in. 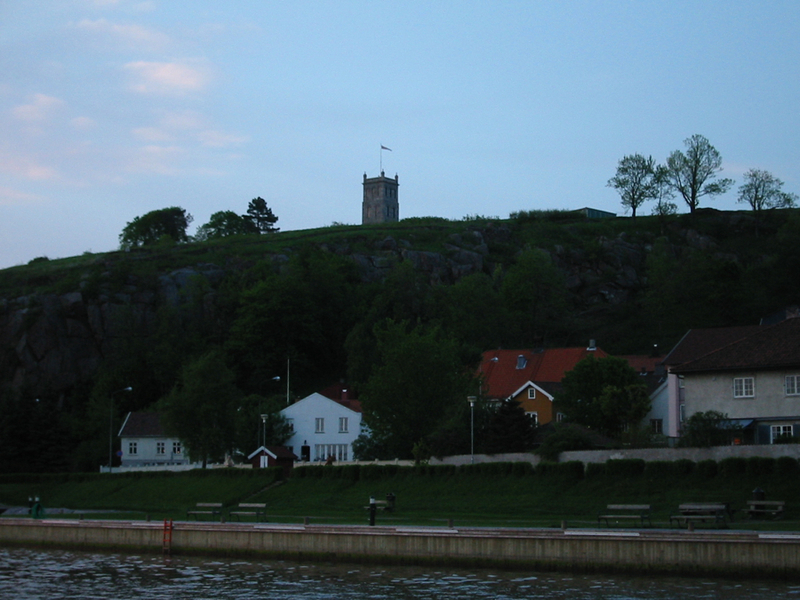 Christiansholm Festning. 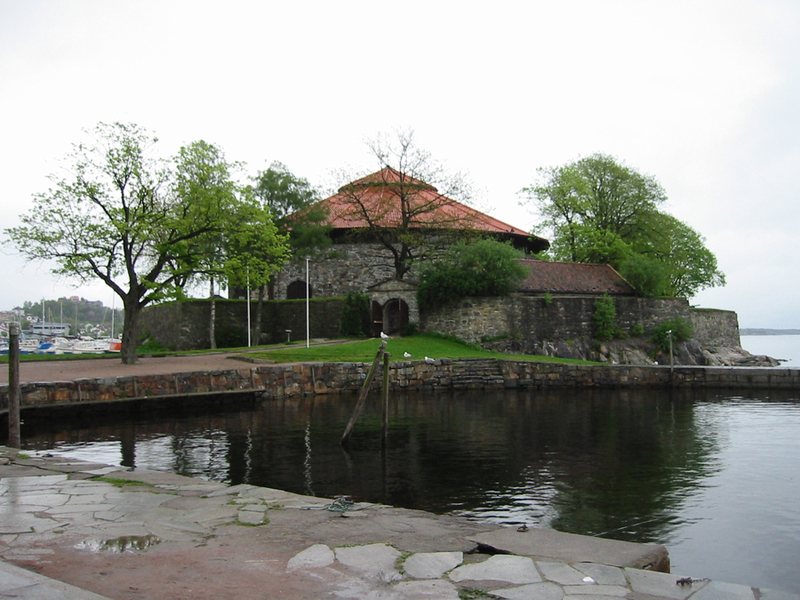 Fortress at the marina in Kristiansand. 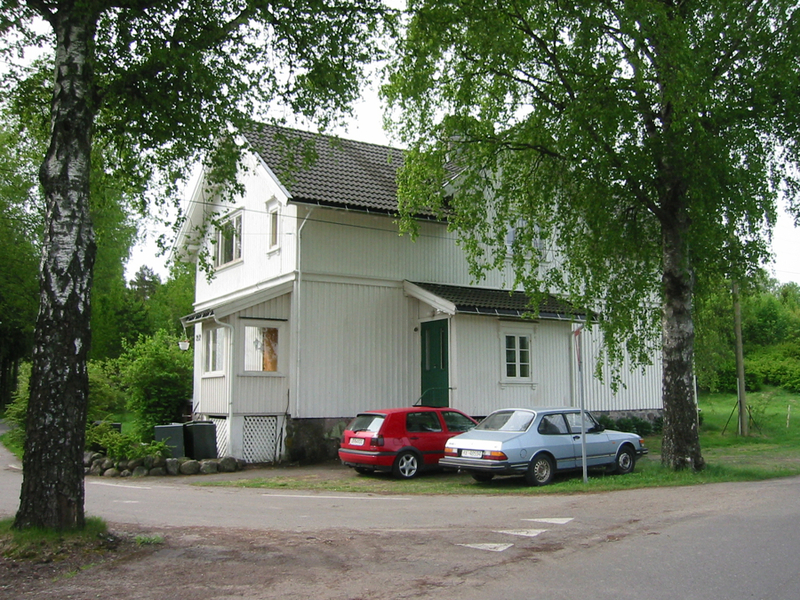 Magda's house viewed from the road. 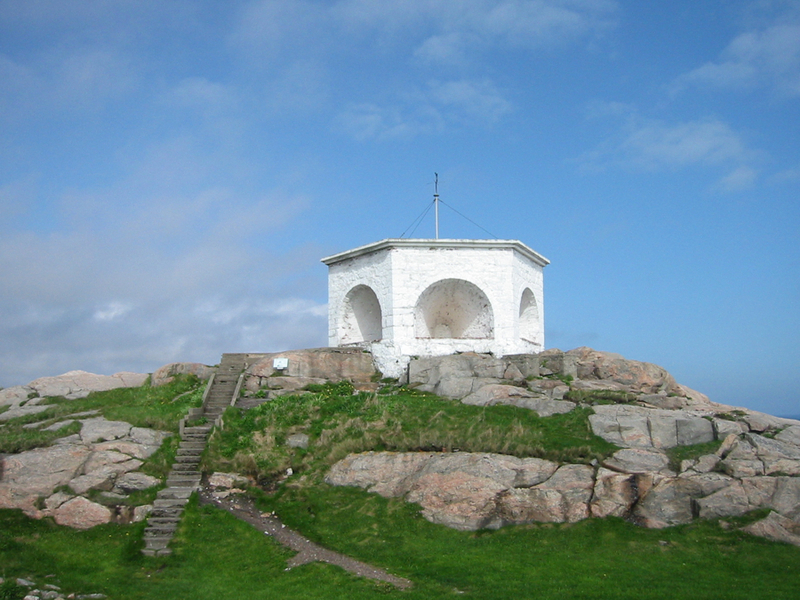 The old lighthouse at Lindesnes. 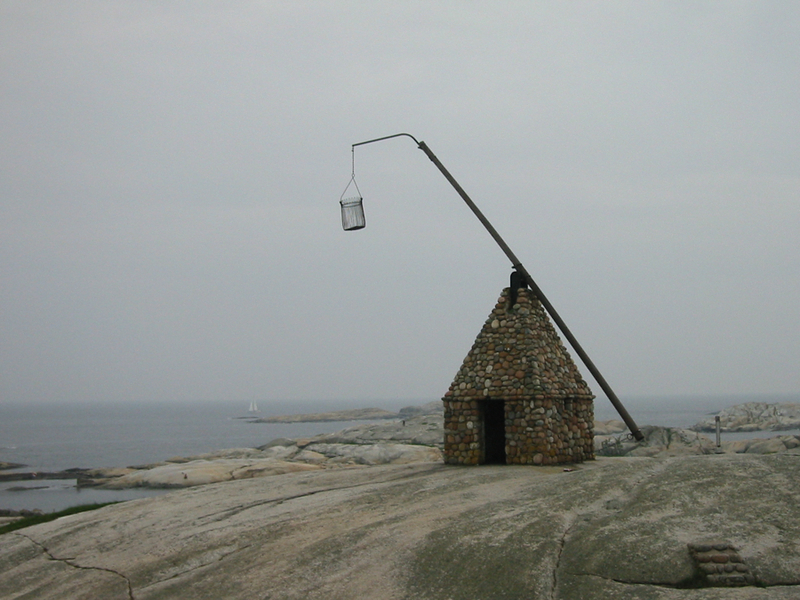 Built in 1655 and fired with coal and tallow candles. 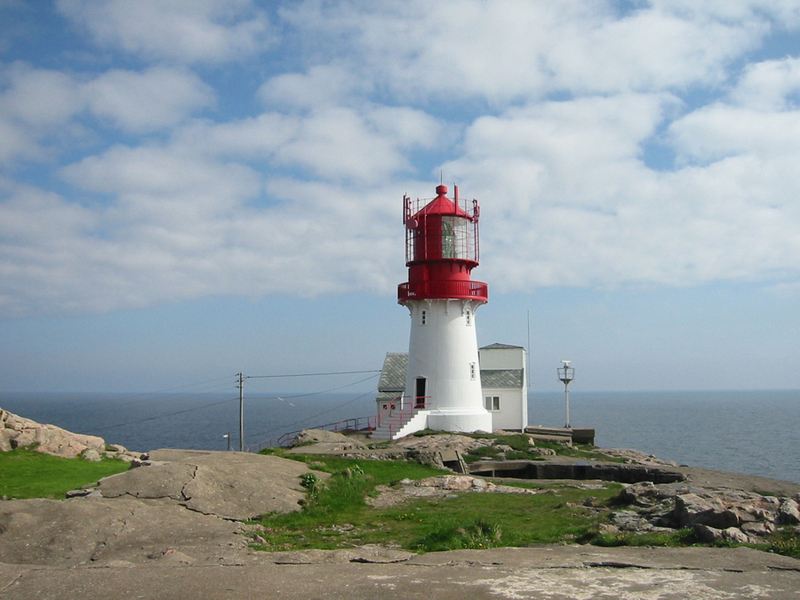 The new lighthouse at Lindesnes. 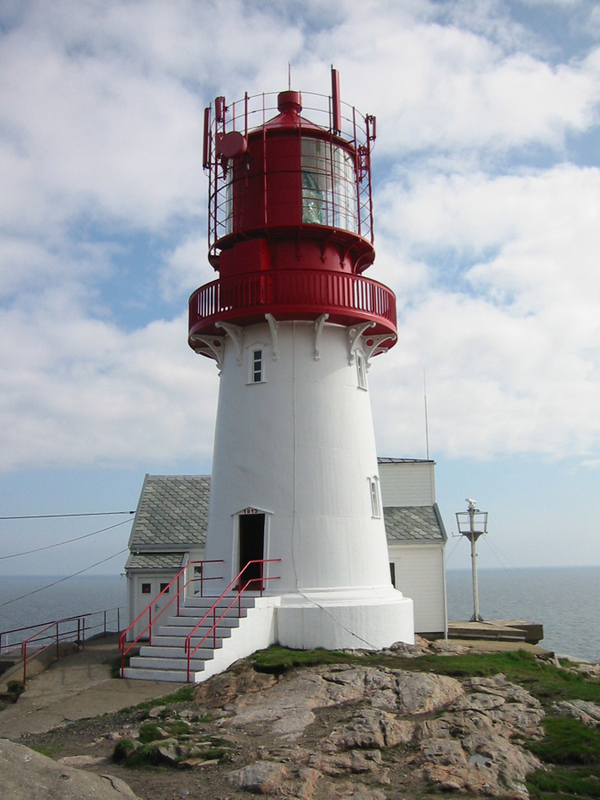 Built in 1915, it is visible up to 19.5 nautical miles out to sea. 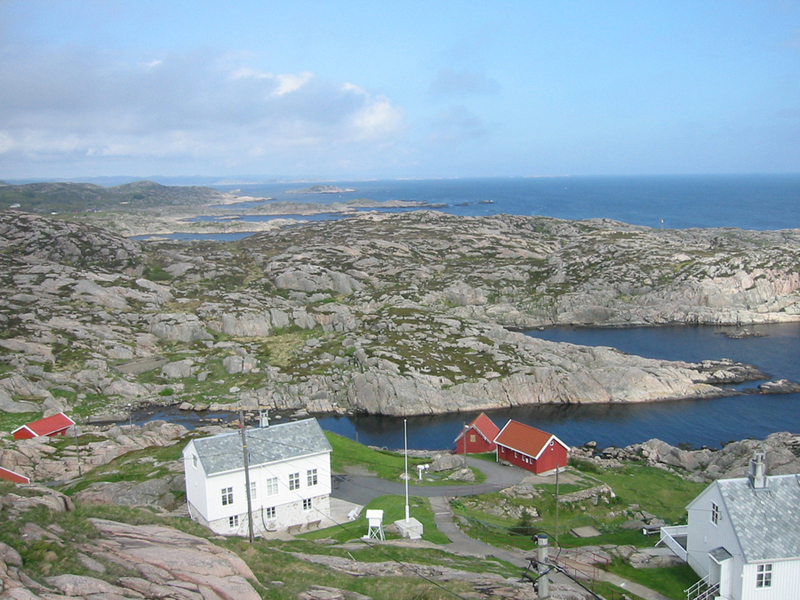 The caretaker's house and museum at the Lindesnes light. 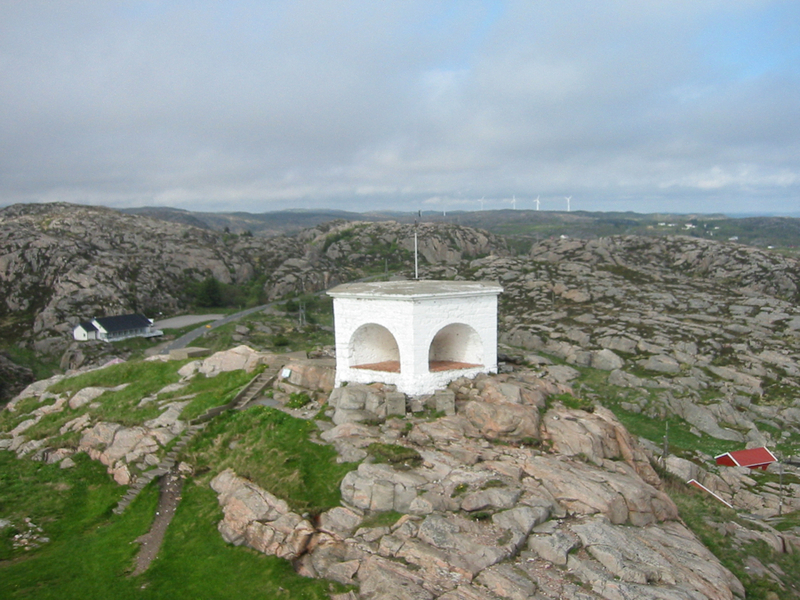 The view from the Lindesnes light. 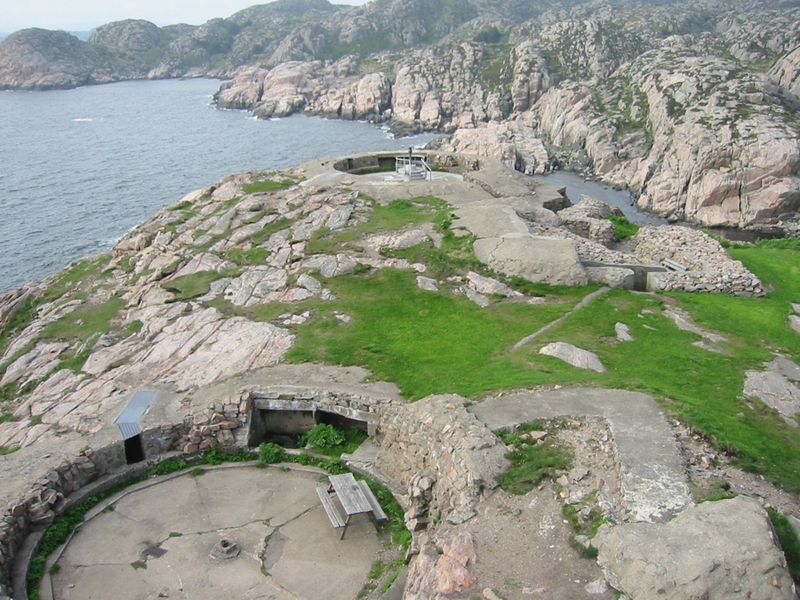 The round depression is the remains of defenses installed by the Nazis. 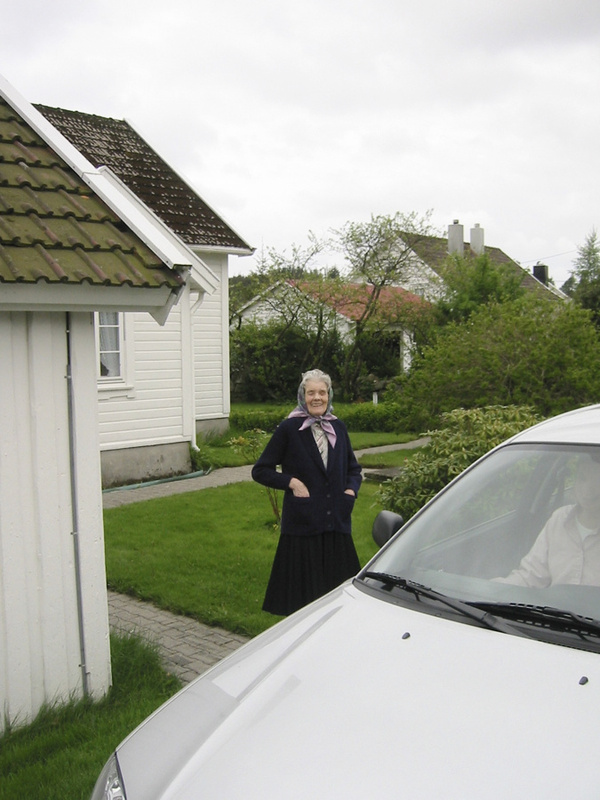 Ruth's Grandfather's cousin, Magda, in front of her house in Spangreid. 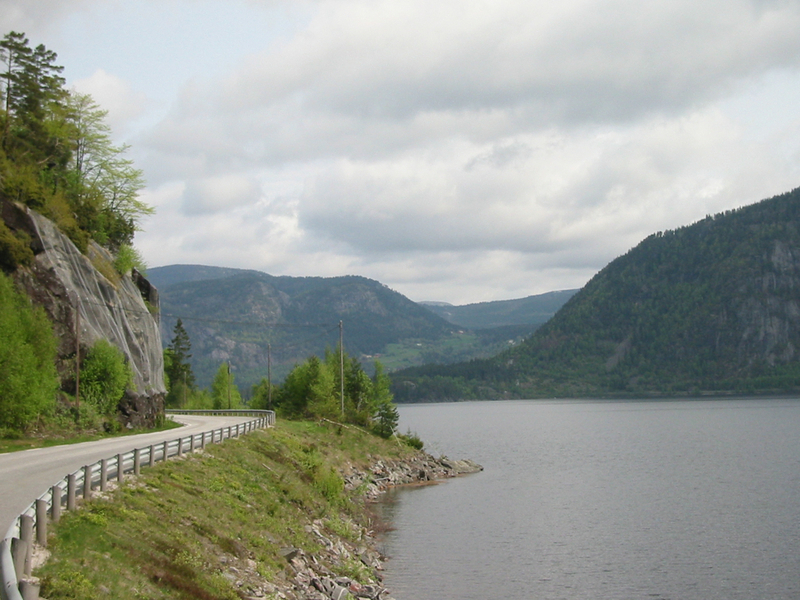 On route 9 going north. 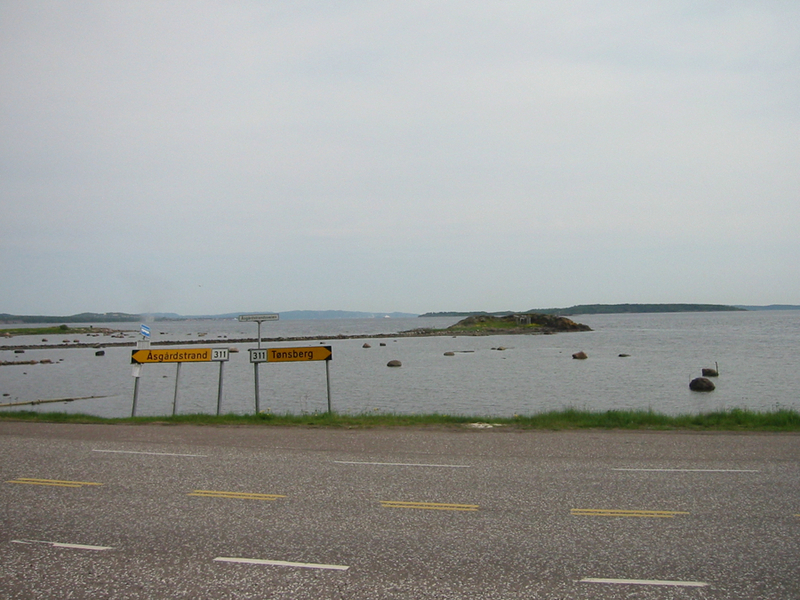 Near Evje. 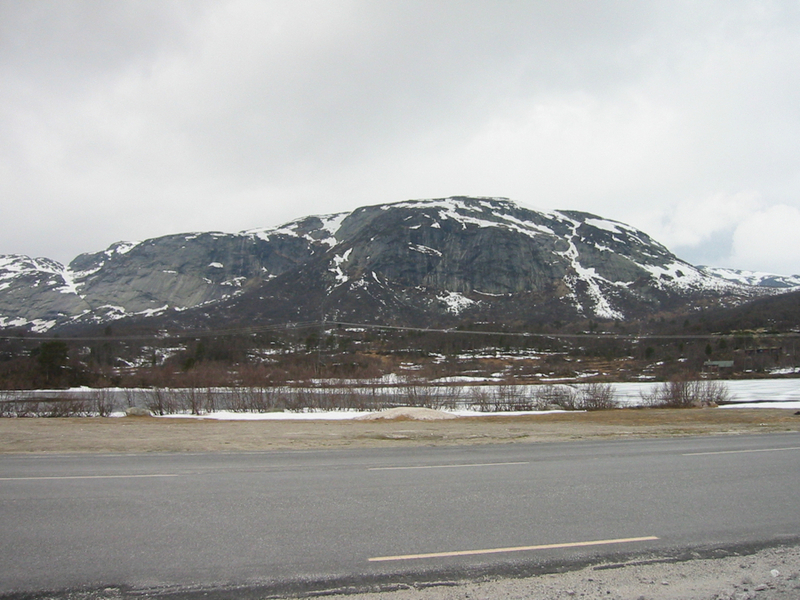 On route 9 going north. 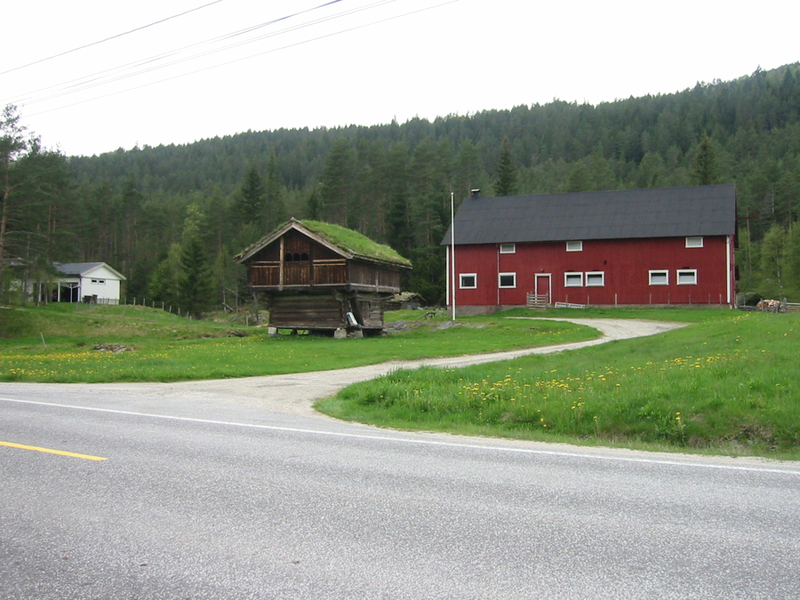 A farm near Valle on route 9. 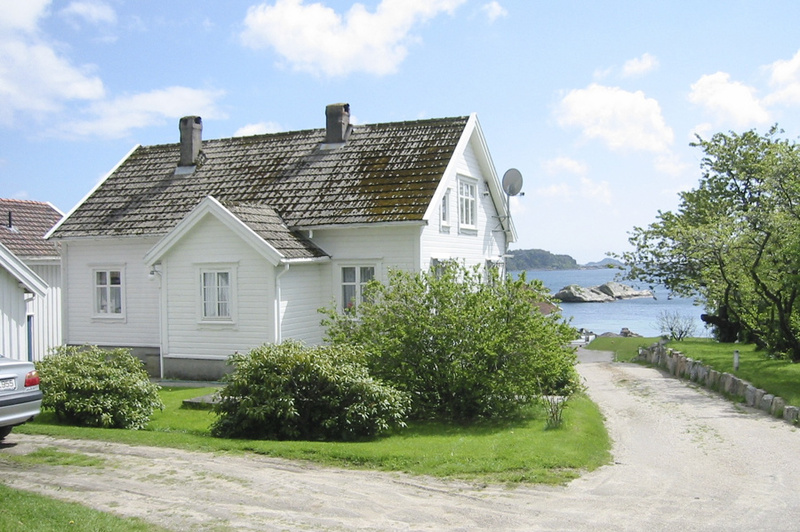 The little house with the sod roof is used for storing meats. 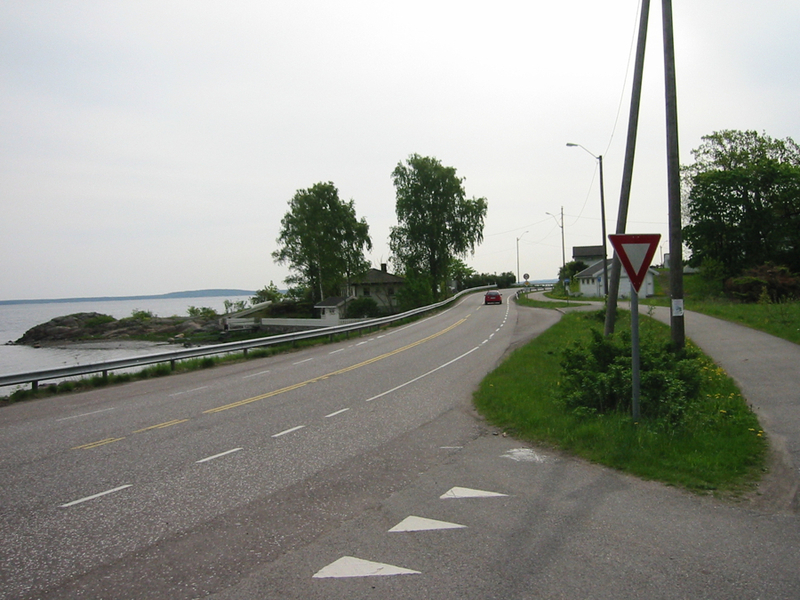 Near Bærhommen on route 45. 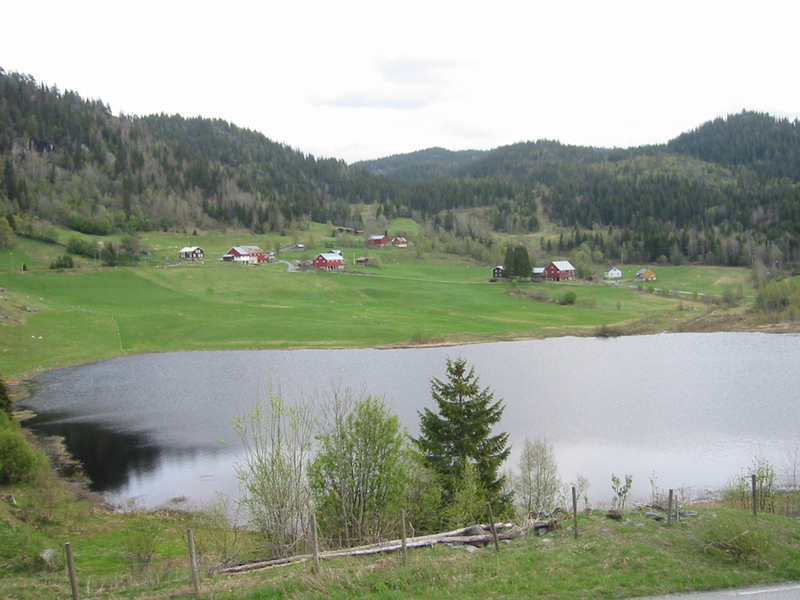 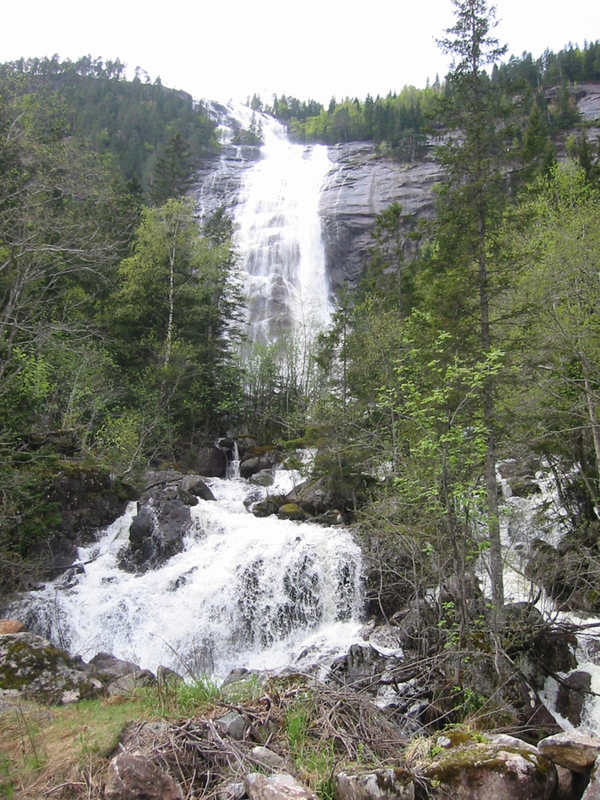 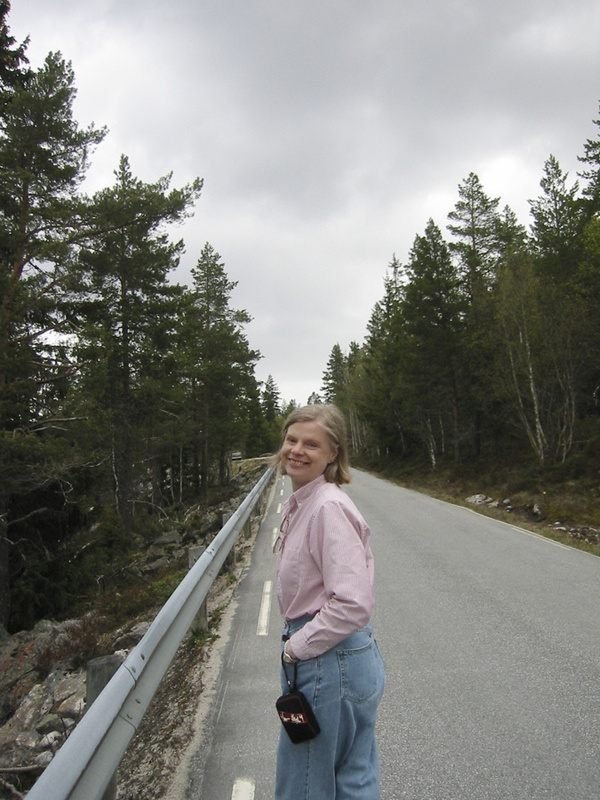 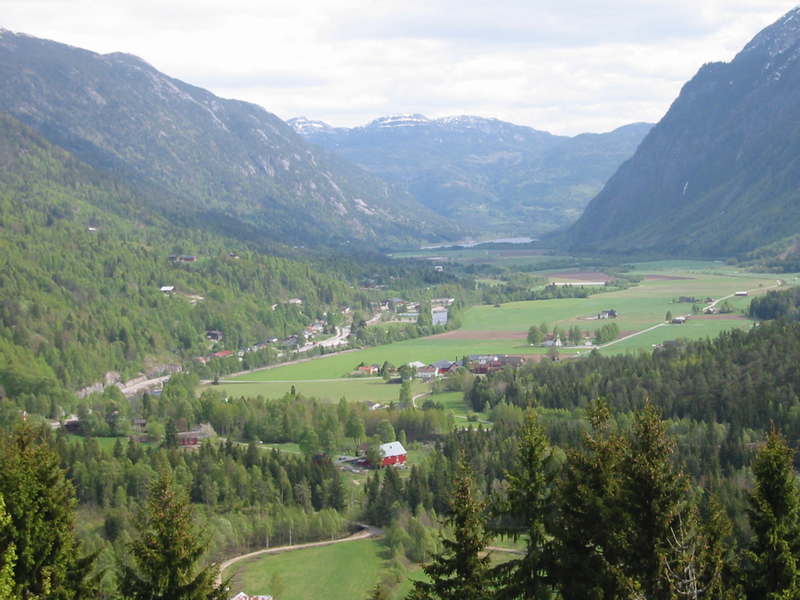 Near Dalen on route 45. 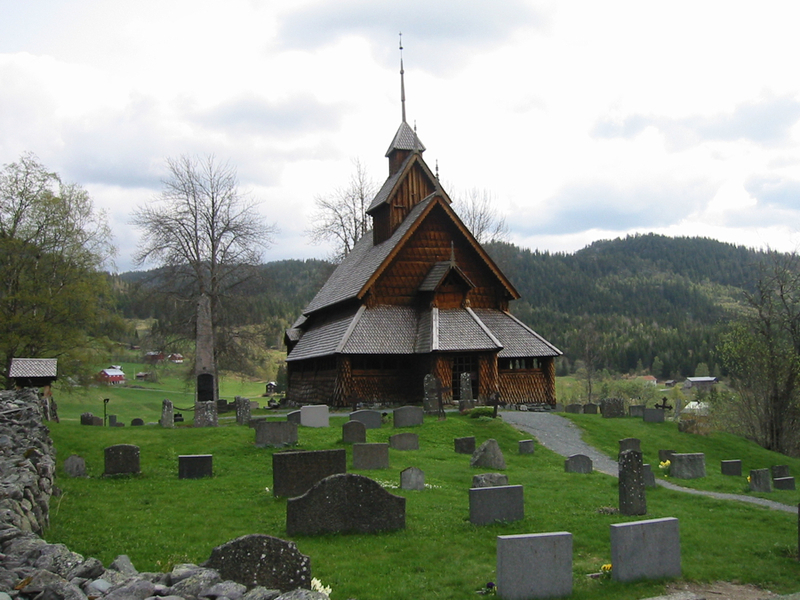 Stave church near Eidsbord on route 45. 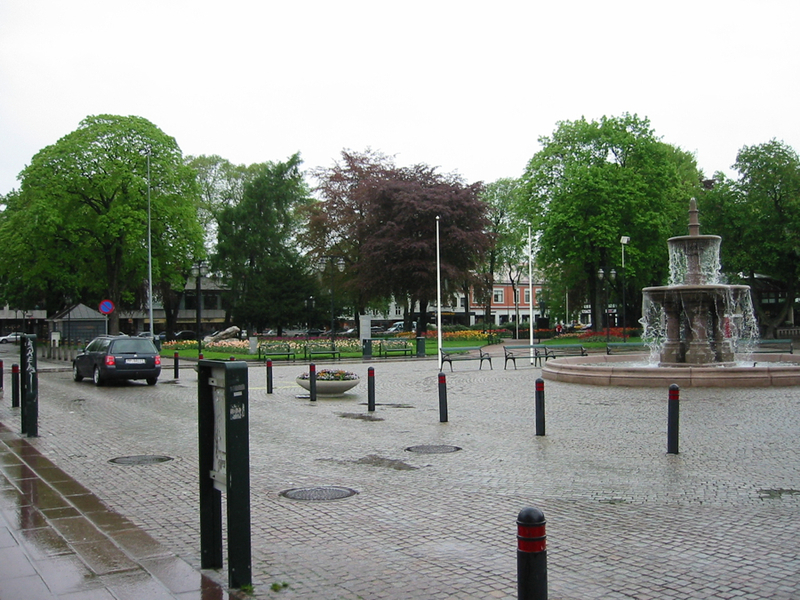 Looking from the church yard in Eidsborg. 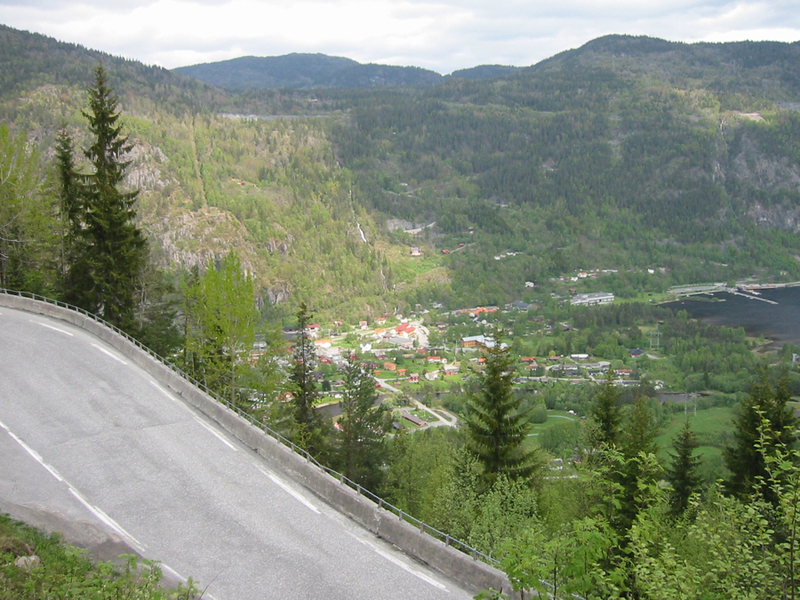 On route E134 going east toward Seljord. 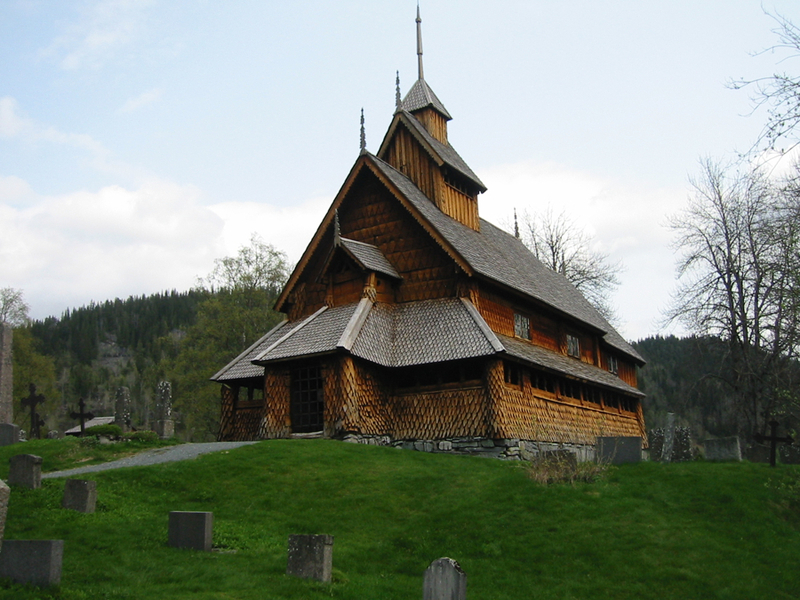 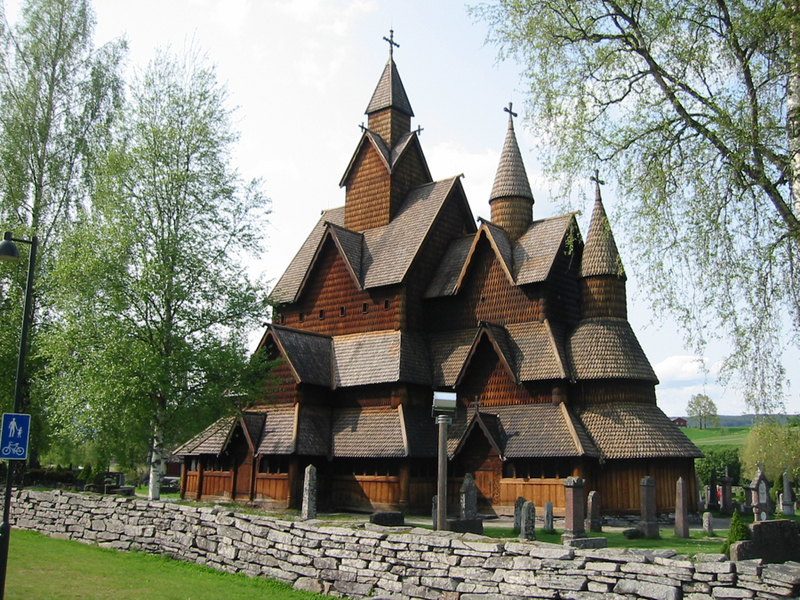 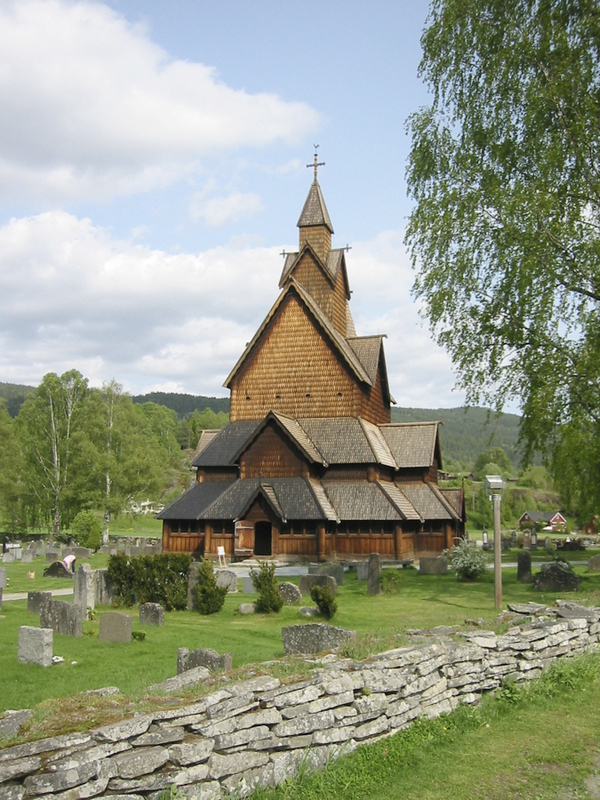 Heddal Stave Church near Notodden. 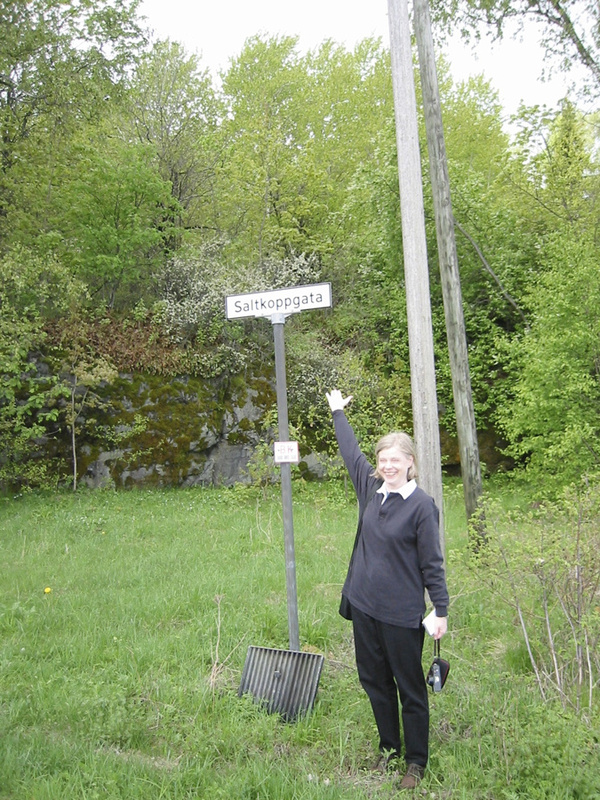 The old schoolhouse in Rom where Ruth's great-grandmother must have attended. 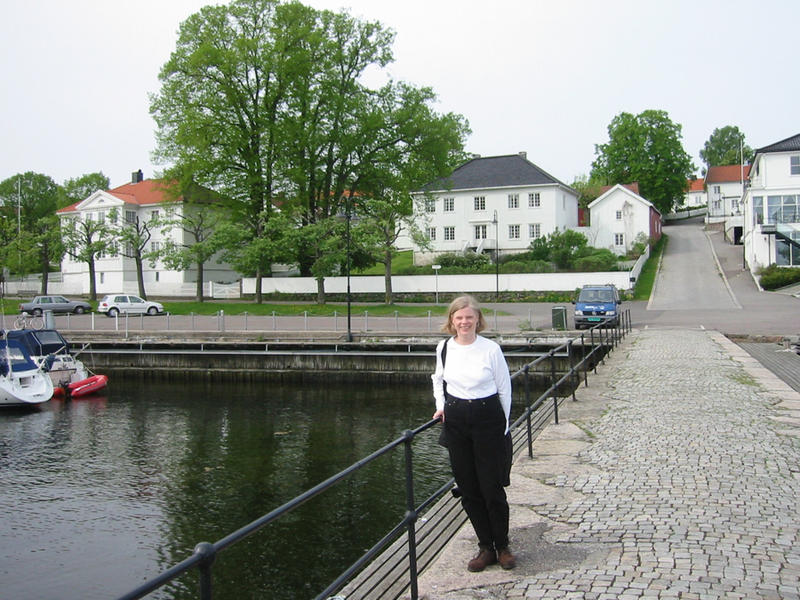 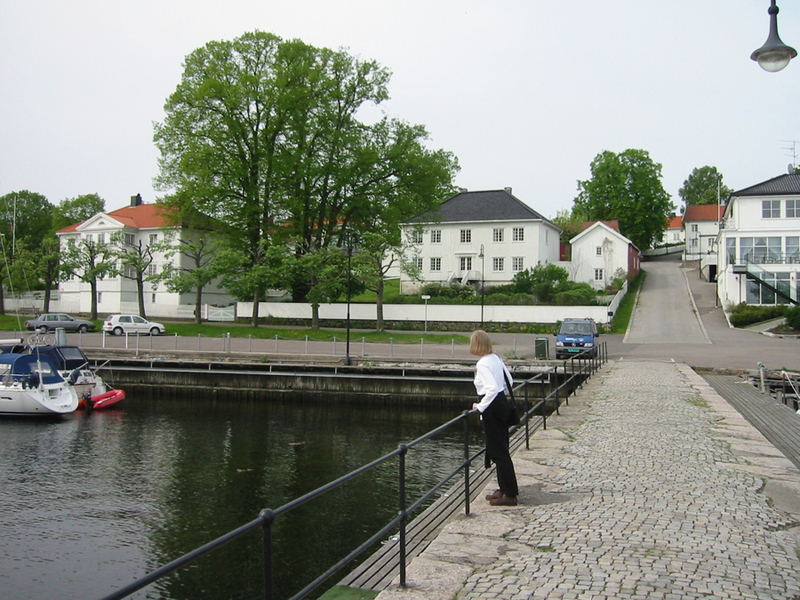 "Lady on the Bridge" in Åsgårdstrand. 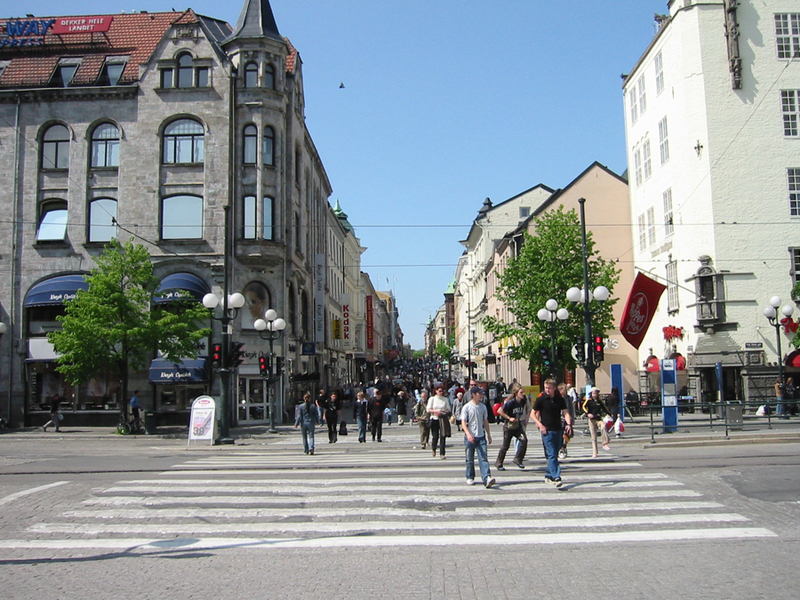 Looking up Karl Johan Gate from the railway station in Oslo. 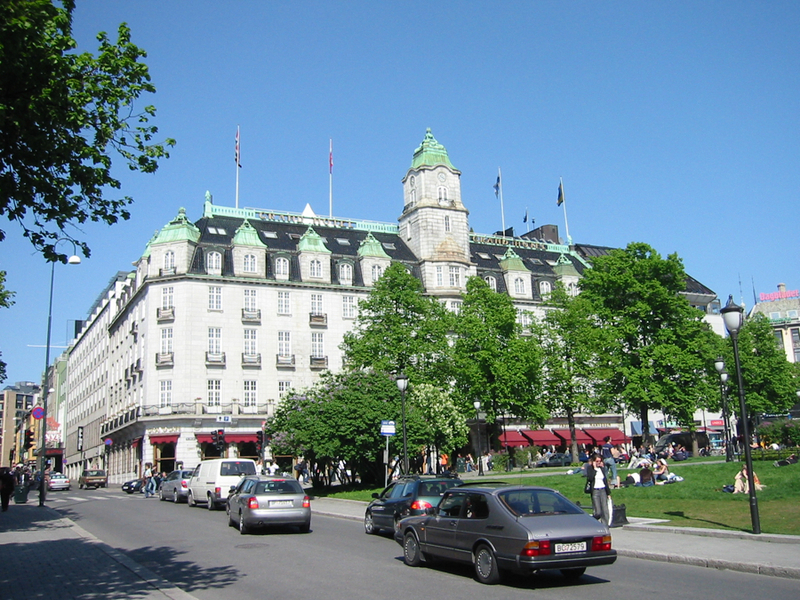 The Grand Hotel in Oslo. 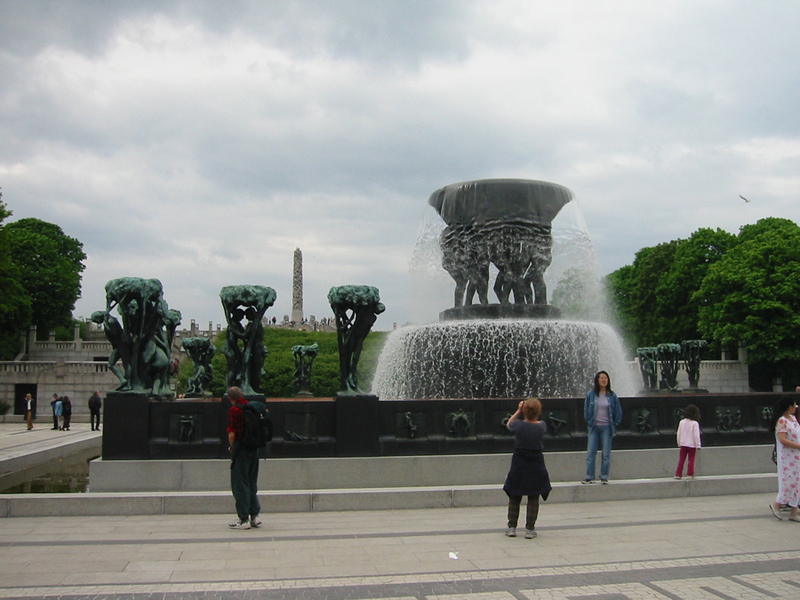 Stortinget. 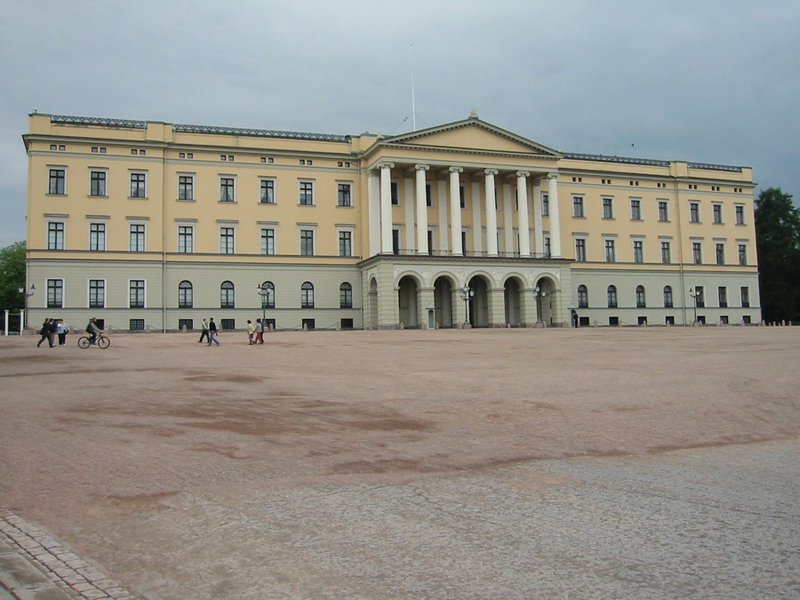 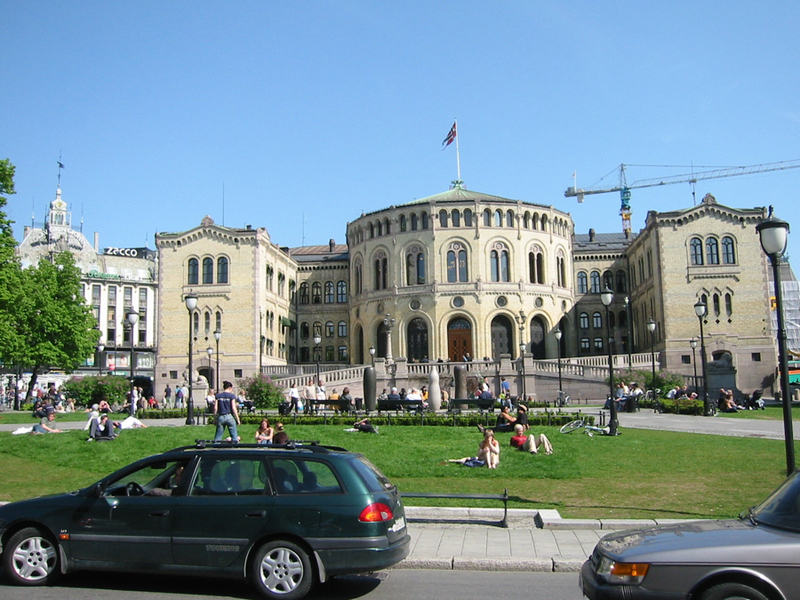 The Norwegian Parliment. 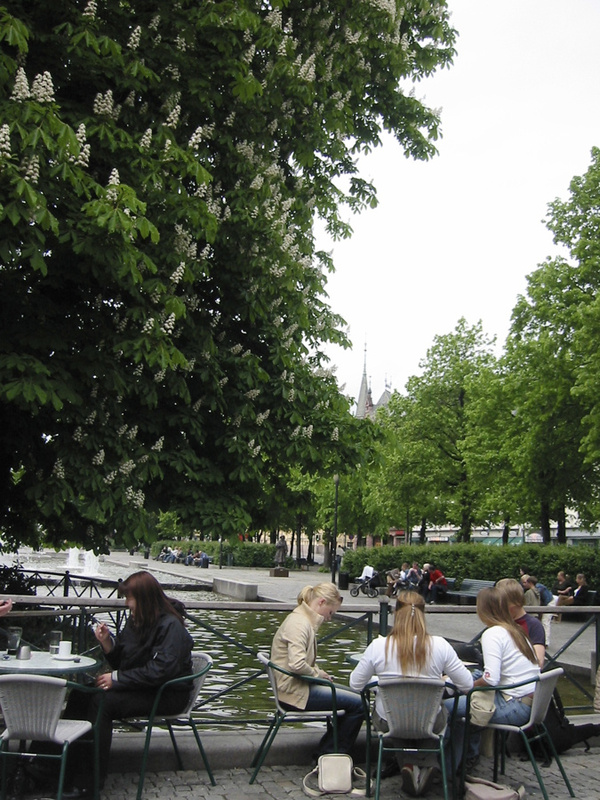 Thanks to Christoffer Andersen for the identification. 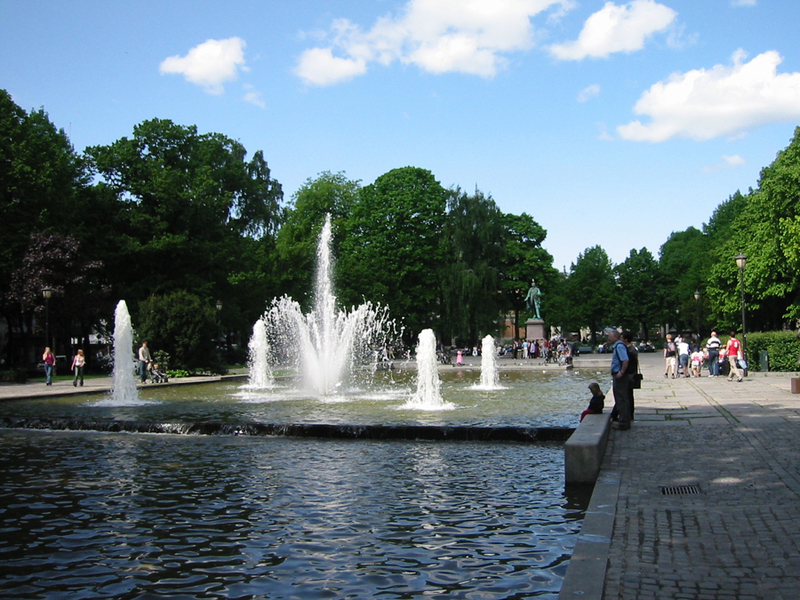 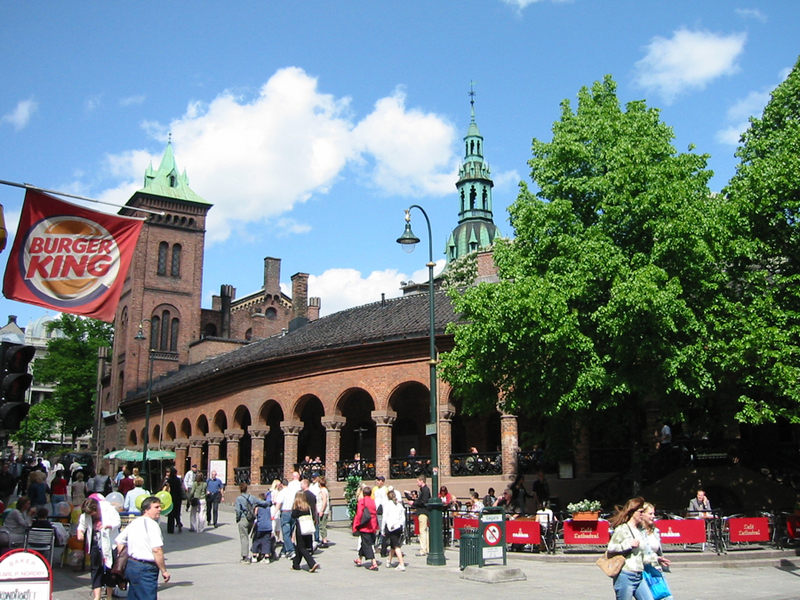 The park on Karl Johans Gate. 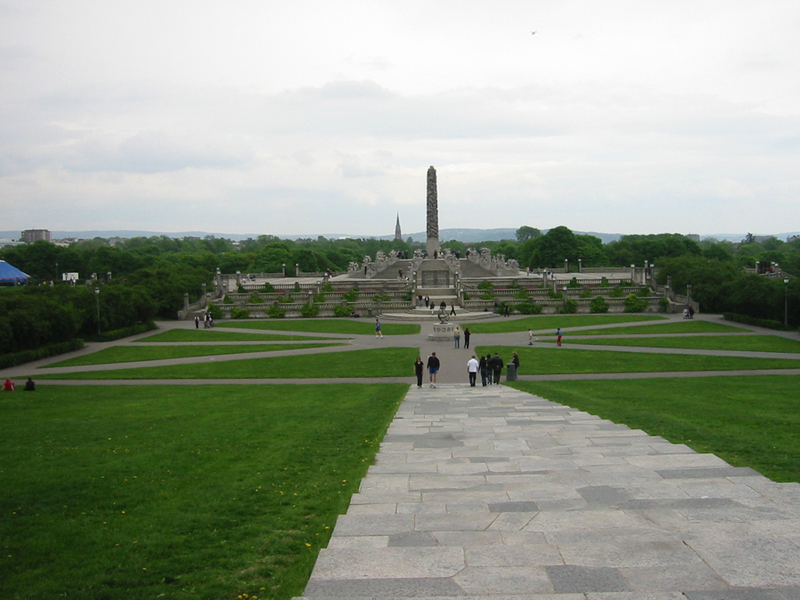 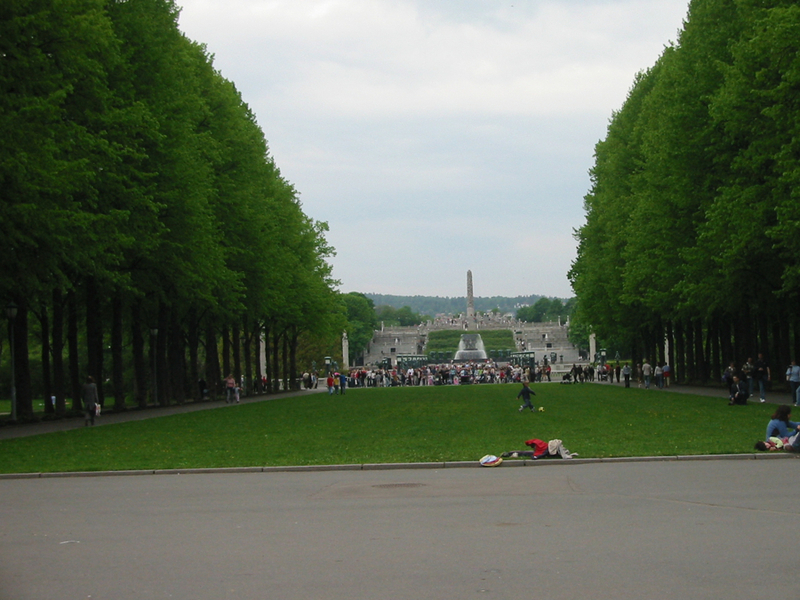 Frogner Park looking toward Vigeland Park. 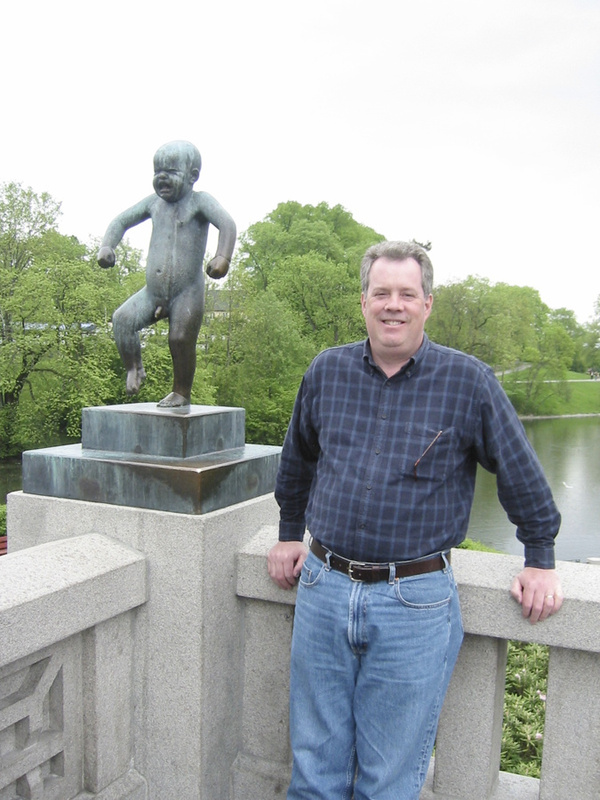 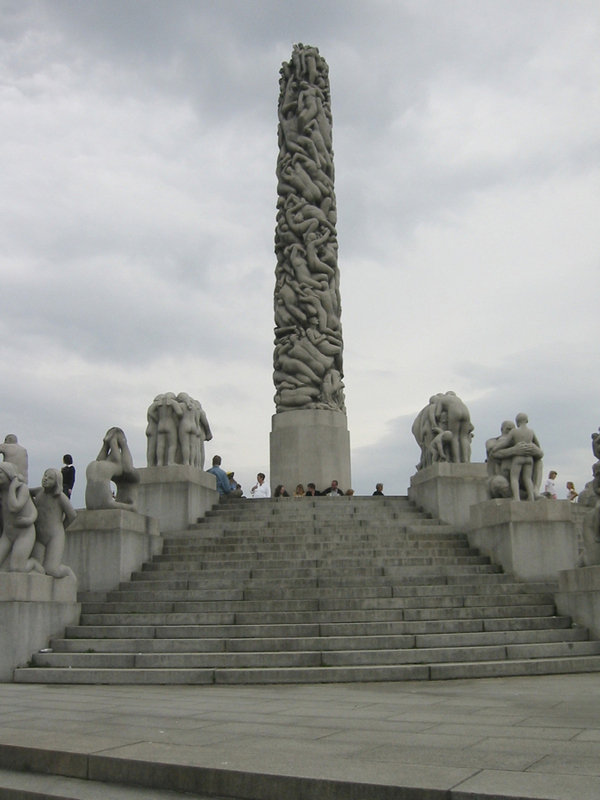 Steve standing next to a sculpture he modeled for at Vigeland Park. 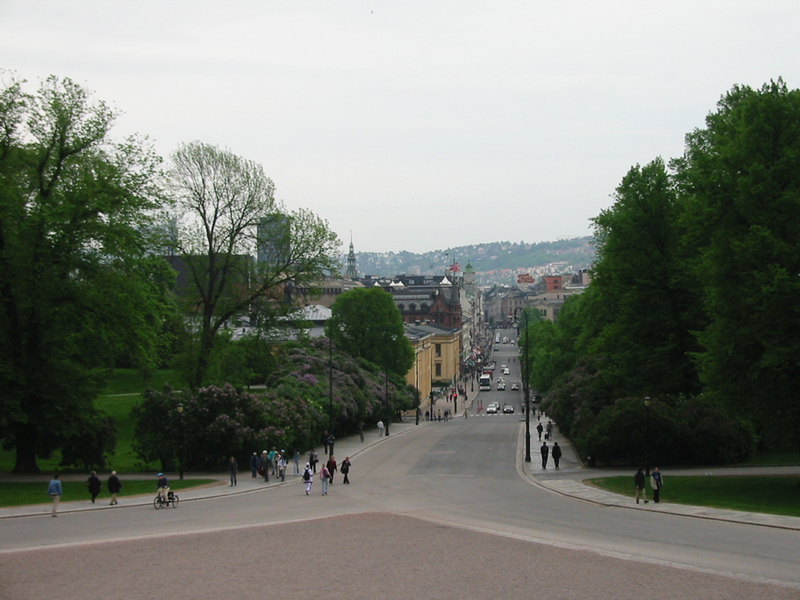 Looking down Karl Johans Gate from the Royal Palace. 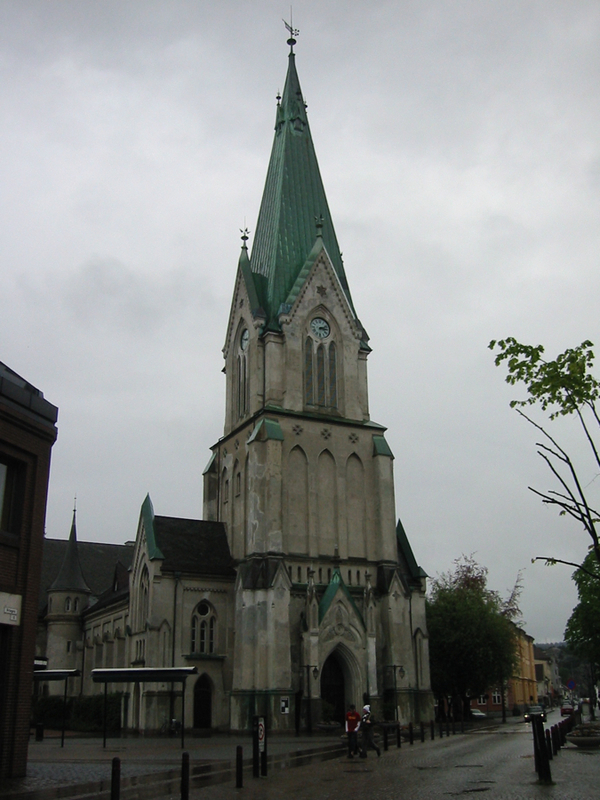 Cafe Cathedral located in the Oslo Domkirke. 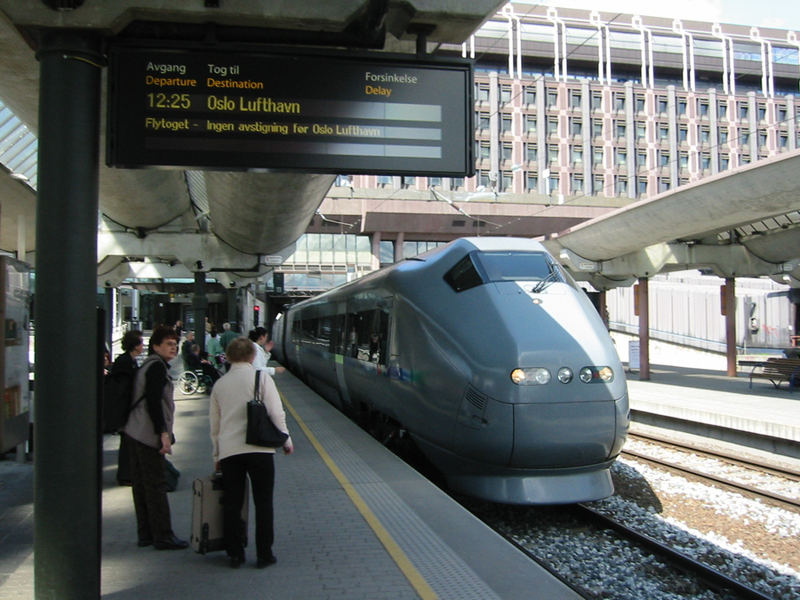 The train to the Oslo airport. 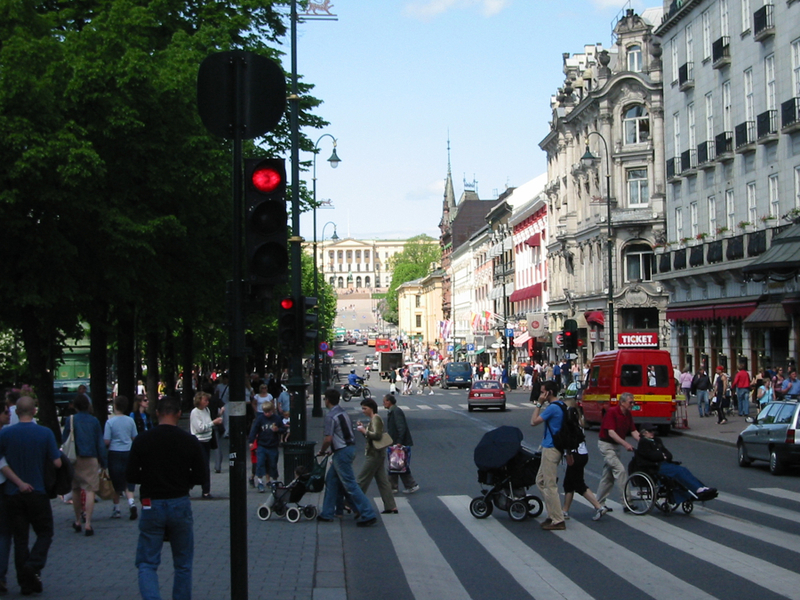 Why is it that NYC doesn't have fast, efficient, and comfortable transportaion to the airport like this? 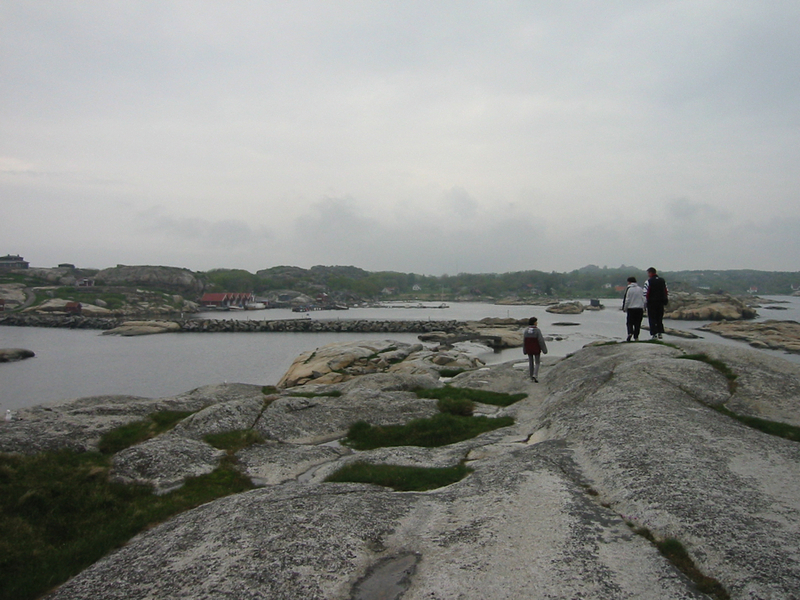 Looking at Magda's house from the rocks on the beach.